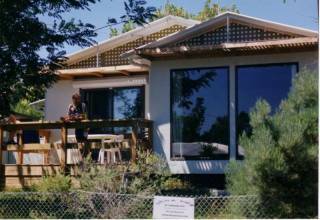 This delightful newly renovated, 2 Storey House in Tawonga Sth, accommodates 6 people and includes a brand new fully equipped kitchen, electric stove, refrigerator, MW, dishwasher, open lounge and dinning area, with a 42" plasma TV, DVD, Ipod docking station, balcony, 2 bathrooms, washing machine & dryer. 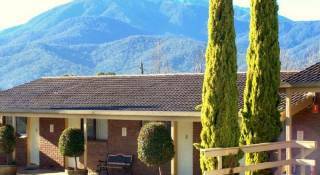 Mt Beauty nestled in the stunning Kiewa Valley, in the heart of the Alpine High Country. Creekside is newly renovated with new kitchen, situated in Tawonga South, 30 km from Falls Creek, in a quiet , peaceful location which is safe for children, backed onto a natural reserve with a small creek and is only a ten minute walk to Mt Beauty shops. 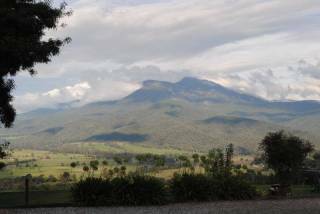 Mt Beauty & Tawonga Sth offers visitors a wide range of award winning restaurants, Pubs, Club, 3 wineries serving delicious meals and a bakery. 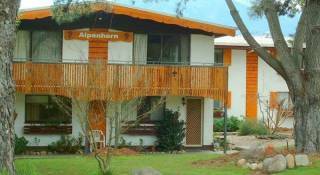 Outdoor activities include skiing & snow boarding, bushwalking, tennis, horse riding, canoeing at Bogong Village, golf, hang gliding, fishing, and swimming in the river. Skiing packages available.! Balance of the rental amount must be received in full 4 weeks prior to occupancy. If not the owner has the right to cancel the booking and attempt to re let it.